The advertising agency SMART Event Marketing offers comprehensive services on organizing press conferences, both for public institutions and for private companies, from site selection, providing sound equipment, services camera, catering or guests and management relationships presser. The press conferences are essential for announcing large-scale events. 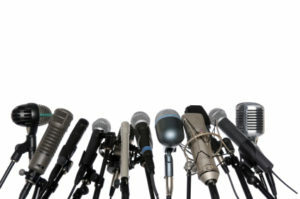 A press conference success depends heavily on the quality of information provided, but also depends on the organization. Events and PR specialists of our agency will be with you throughout the event, so things will according to plan. The advertising agency SMART Event Marketing offers its customers and post event communication services, from press releases, articles, advertorials, to the TV news.